Celebrate the end of year on the waterfront with your colleagues, friends or family. Enjoy our special Christmas menu whilst taking in the bay views. Christmas table decorations included. 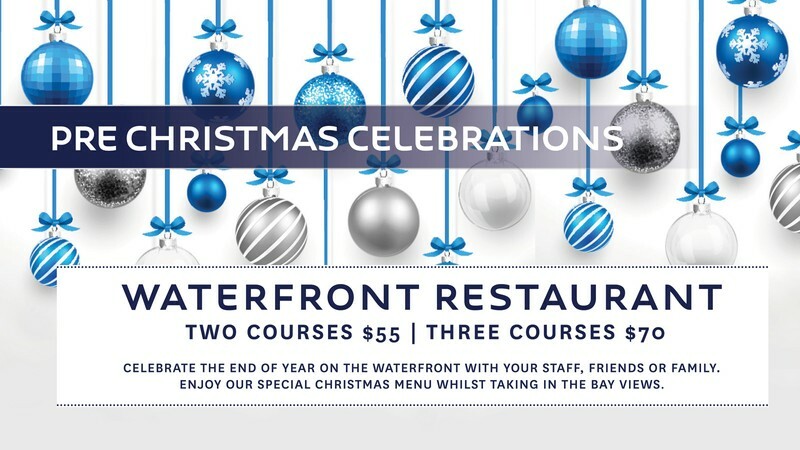 Call Waterfront Restaurant on 03 5273 5460 or email dining@novotelgeelong.com.au. No discounts apply. Surcharge applies on public holidays. Beverages are additional.